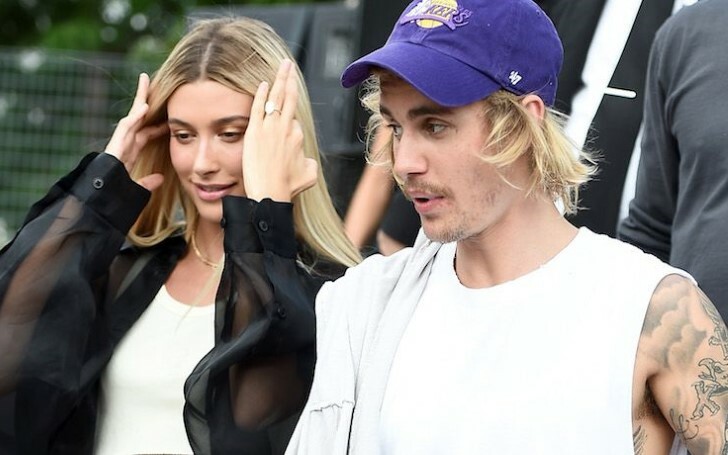 For newly married couple Hailey Baldwin and Justin Bieber, the religious wedding ceremony and reception is temporarily on hold. After just two months of dating, Justin Bieber and Hailey Baldwin secretly got married in a civil ceremony at a New York City courthouse on 13th September last year. Apparently, the newlyweds aren't rushing their religious wedding as they postponed their marriage ceremony and reception. According to the information by Bieber's close source to PEOPLE, the couple who kept it casual for a business meeting in Costa Mesa is still finalizing the details of their marriage ceremony and reception. "They’ve been figuring out the perfect time to do it, and they both feel like the sooner, the better. They’re still figuring it out." As per some tabloids, the Biebers originally wanted their second wedding to be held in January, however, they are now opting for a later date. "They’re working with the schedules of all their friends and family to make sure they can be surrounded by the people they love. There’s no real rush. They’re already legally married, but they’re very excited about throwing a celebration with their loved ones." The once on-and-off couple who previously dated before a messy breakup in 2016, rekindled their relationship this summer. Shortly, before the pop singer surprised his model wife Hailey, while on a romantic trip to the Bahamas with an engagement ring on July. The engagement ring showcases an enormous rock estimated between six to ten carats from Solow & Co which is reportedly worth $500,000. They made their civil marriage official last year after Hailey dropped her maiden name from her official Instagram username and changed it to @haileybieber instead. The singer, 24, and the model, 22, are likely to push their official Christian marriage to a later month.